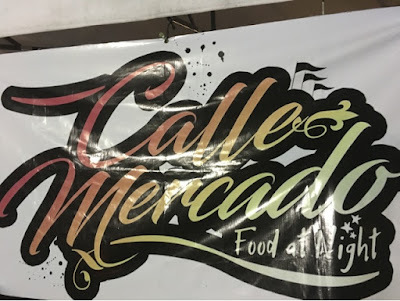 If you're from the south of Metro Manila, particularly in Parañaque City and nearby areas, there's no need to go elsewhere for night food market experience. There are three places you can visit. 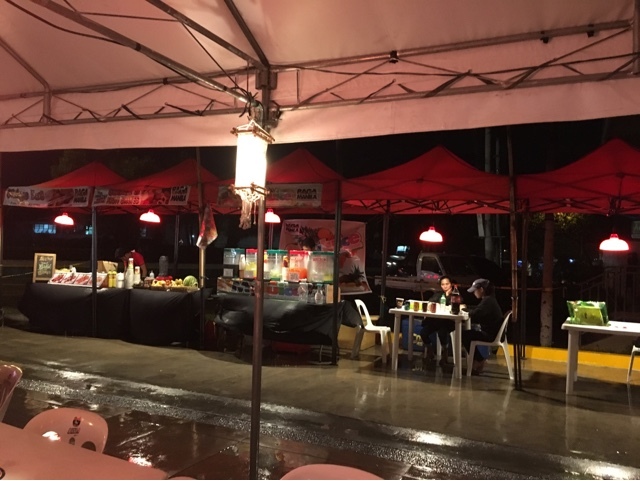 Banchetto Sucat features a few food stalls offering varying menu options including grilled fish or meat, local barbecue, steak, sisig, fruit juices or shakes, Filipino dishes, and more. The prices are also very affordable although there is only a single line of stalls to choose from. 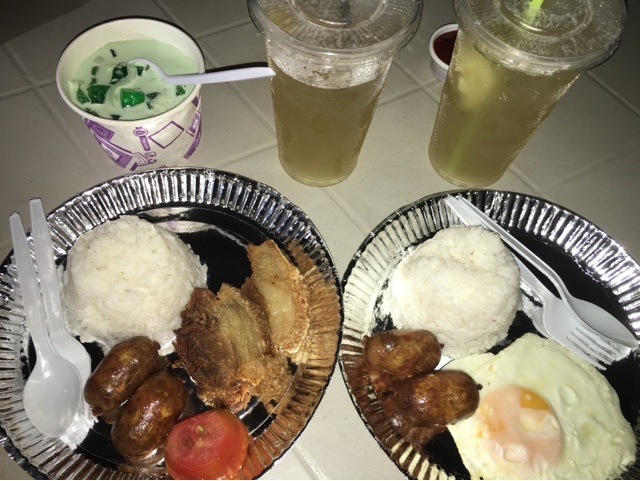 Banchetto Sucat is located in front of the Shopwise Sucat parking area and opens every Friday and Saturday from 4PM to 12 midnight. Locale di Cibo offers more options. 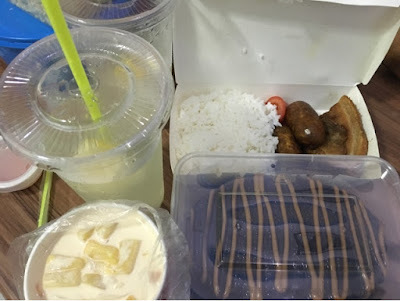 There are two, instead of one line of food stalls. There are more tables and chairs as well. During special days, a band will be playing too. We chanced upon Carl Mcfly of Alamid last summer. However, the menu is pricier. You also need to pay via the main booth first and claim your order at the actual stall where it is served. Payment is centralized. Locale di Cibo is located in front of the Airport Citimall. You'd probably be more familiar with Air Force One KTV instead in case you can't find it. Catch the market from Thursday to Sunday at 5PM till 12 midnight. Update: Place is no longer open at the moment. Baga Manila is the newest in town. 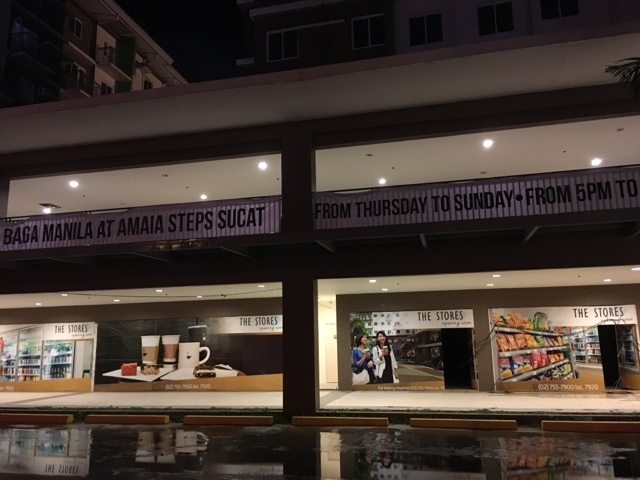 It's located in front of the upcoming Amaia Steps Sucat. Manila Memorial Park is just at the opposite side so you can easily find it. 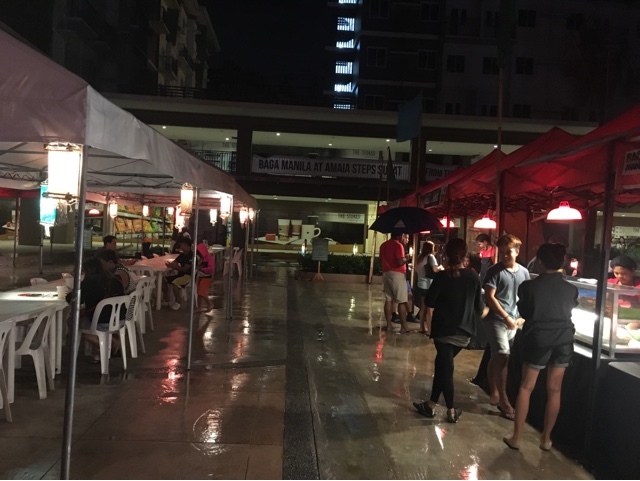 The food market is open from Thursday to Sunday at 5PM to 12 midnight. But since it's quite new, there are not much options for food yet. Hopefully, there will be more participating booths soon. This is no longer in Parañaque but still within the area; just a few minutes from SM Sucat, going to Las Piñas via C5 extension. Note: Availability of these locations vary and may not be available throughout the year or may already be permanently closed as of this update, October 2017.